Home / microsoft / mobile OS / skype / windows phone / Skype coming to Windows Phone very soon!. Skype coming to Windows Phone very soon!. One of the major things which was missing in Windows Phone was the lack of Skype. Many have even pointed out it as one of the reasons for failure of Windows Phone platform from Microsoft. I'll like to remind you (if you have forgot!) that Skype was bought by Microsoft way back. So there stands no reason for Skype to not support the Windows Phone platform. A Skype for Windows Phone application is going to be out soon, this news comes when everyone was talking about why there is no integrated Skype support in Windows Phone. There is no integrated support in the current Windows Phone for Skype but the soon to be released application is enough for Windows Phone users to feel happy about. 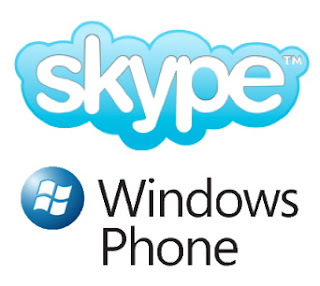 At the recently held Consumer Electronics Show in Vegas, Vice President of products Skype was quoted as saying, “We’re … working on a Windows Phone product that will be coming out soon,”. Whereas Windows Phone users will have to wait for the integrated Skype support until the next release of the OS which wont happen any sooner. It is expected that Skype for Windows Phone application will be released next month at Mobile World Congress(MWC). Till then wait ! the readers as well! I must admit the author had some very valid points here. Many more have been waiting but finally the wait is expected to get over in the coming month.